Seeking the opinion of another person before trying something new is a big part in making your decision to purchase or try a product as a customer. Read more here! Do you remember the last time you tried a new meal or purchased items at a new place without a recommendation? For most people, chances are that it’s been awhile. People are naturally inclined to seek an opinion of another person before he or she tries to do or visit something new. When see a new restaurant across the street while walking around town, you will most likely not try it out until you hear from a friend that he or she had a great dining experience in that new place. Seeking the opinion of another person before trying something new is a big part in making your decision to purchase or try a product as a customer. An approximate 96% of customers before purchasing any product goes through its online reviews before setting making the decision to buy it. Half of these estimated customers who read through the online reviews will settle for it if it has four stars or higher. Basically, it is really important to concentrate on your business and customer reviews. Having five-star reviews is not easy and takes time but it will be worth it once you get there. As the owner of your company, you need to pay close to attention to what customers are saying about your business. 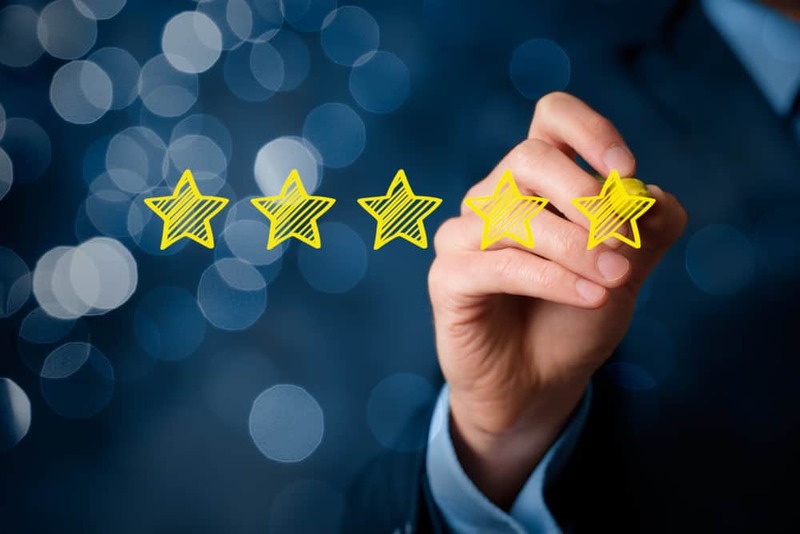 Reviews give potential customers an impression of what your business is like before making a purchase or using a service. You need to find the best methods to make you win more good reviews and get the best results. Before anything else, you should first and foremost know how they work and the impact they will have on your bottom line. Why should you care about the reviews? Why would you put so much effort, time and money into something, only not to care when a person motivates you to do better by leaving a bad review? When a customer points out something negative, it only means that he or she had some expectations that you did not meet. The number one rule for any entrepreneur or business person is to make the customer happy and impressed. Receiving bad reviews can be hurtful and affect your business and even the online performance. The decrease in profit or performance of many businesses could be caused by low poor reviews of a product or service. Yes, that is how a poorly reviewed product can cost you. Getting a positive ranking on a product, on the other hand, will not only drive higher loyalty from your customers, but may also the increase the number of purchases because of the customer satisfaction. This is how the benefit of having a positive product review can impact. Today, there are a variety of product reviewing sites, but they don’t all work the same way. This means that you should consider keeping your eyes on the sites that are likely to convert buyers. The sites are well-known, user-friendly and lets customers easily leave a review. Examples of the most influential customer review sites today include Yelp, Google, and Facebook. Do you have a question about online reviews? Click here to contact the experts at Cuselleration today!